Custom e-learning courses are developed after a thorough analysis of your organization’s business objectives and training needs. As custom courses are usually built from the ground up, every aspect of the course can be tweaked according to your specifications, making the course a valuable asset of your organization. But, this high level of customization comes with a development cost and time. So the question that might be bothering you would be, is it worth the cost? Before I answer that question, we must know the difference between custom e-learning and off-the-shelf courses. Off-the-shelf courses are like ready to eat meals. They are made not according to anyone’s specific tastes, but according to a general preference. Meaning, off-the-shelf courses are general e-courses delivering training for general topics. They might cover subjects such as team building, compliance training, change management, negotiation skills, effective customer handling, courses on Microsoft Office, etc. These topics would be covered by many organizations in their digital learning programs. As these topics are generic, there is no need to add any company-specific inputs to make them more impactful for learners. As off-the-shelf courses are a one-size-fits-all, there will not be any company-specific customization, like logos, themes, fonts etc. Consequently, users won’t get an instant connection with the learning material and this can lessen the gravity of the digital learning program. Every organization has unique training needs related to their specific business, clients, or customers. These can be trainings related to your products, business-specific software, laws of your industry, etc. To convey this knowledge, innovative instructional design strategies need to be implemented. That is why developing a custom course requires highly specialized expertise and skills. Specialization always costs more than the generic. 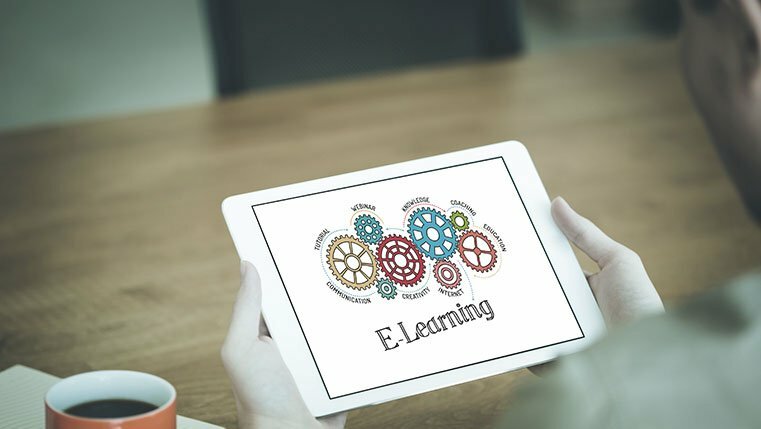 If the content is too business-specific, the e-learning development team has to take considerable efforts understanding and analyzing content to create an impactful course out of it. This is a process that again takes longer and costs more, but in the end pays for itself. When developing your custom eLearning courses, you have the ability to create immersive scenarios and reality-based examples that are ideally suited for your industry/niche. Custom e-learning courses enable learners to see how their actions and choices directly affect their practical work environment. Developing a unique set of scenarios with their associated background, choices, and consequences can be both time consuming and creatively daunting, causing the cost of the development process to go up. But such scenarios help users to better relate to the content, which means that they are more likely to be motivated to learn. Custom e-learning courses enable you to update the courses or modules as per your needs. This is particularly useful in situations where updates must be made frequently, such as in the case of a new product description or protocols that change on a regular basis. Since you own the custom course, it becomes easy to access the source files and do the updates – whenever needed. These are two of the most important components of any e-learning course. Assessments allow you to determine if your e-learning course is successfully delivering the core ideas, skills, or information, and if any areas need to be improved. Custom e-learning courses can create assessments that match your learners’ preferences, and then offer constructive feedback that is in-line with your organization’s methodology. This process requires a deep understanding of your business practices, thus making the whole process more resource intensive. As it is clear from the above points, spending that extra money on custom e-learning is definitely worth it. The cost is also offset in the long run, as the courses once developed, can be assigned to as many learners as needed. But before you remove your wallet, it is necessary that you thoroughly analyze your training needs. If your needs are bending toward the generic, then it might be wise to go with the off-the-shelf option. But in case of exclusive needs, customization is your game.